John William Kingshott was born at Dry Creek, Tasmania on the 3d Septemaber 1857. He was the son of Francis Kingshott who had been born in Greatham, England and come to the colonies as a child. John’s mother was Mary Ann Morgan of New Norfolk in Tasmania. New Norfolk these days is quite close to Hobart. According to later records John’s family lived in the area of New Norfolk known as Glenfern or as it was recorded on his records Glen Fern. John was raised along with his many siblings on his parents farm at Lachlan River in New Norfolk, Tasmania. His father Francis is recorded in 1866 as carrying on farming in the area. John’s own grandparents had came to Tasmania/Van Diemen’s Land as convicts. John was one of eight children. Jane Ann Morgan Kingshott b. 1854, Caroline Kingshott b. 1859, Sophia Kingshott b. 1865, Francis George Kingshott b. 1868, William Henry Kingshott b. 1874, Ernest Kingshott who is born in 1875 but died at seven months and Amy Louisa Kingshott b.1880. All of the children were born and raised in New Norfolk, Tasmania. 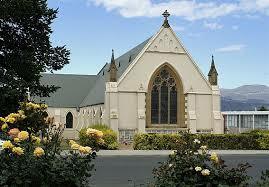 On the 24th November 1883, John married Hannah Oakley at the Wesleyan Parsonage in New Norfolk, Tasmania. John and Hannah gave their religion as Church of England. John gave his employment as labourer and Hannah’s remark was private life. John was 26 and Hannah 28. Hannah ( who was known as Annie) Oakley was born 24th April 1855 at Macquarie Plains, New Norfolk, Tasmania. She was the daughter of John Oakley and Mary Ann White. John Oakley came to Australia as a convict and Mary came aboard the Beulah as an assisted immigrant from a workhouse program for the seriously abject. Hannah’s family consisted of Edward Arthur Oakley b. 1856, John Morrice Oakley, Sarah Ann Oakley b.1859, James Oakley b.1861, Elizabeth Margaret Oakley born 1863 and dies 1864. Mary Jane Oakley b.1864, Thomas Francis Oakley b.1866. John and Hannah (Annie) had ten children. John Thomas George Kingshott b.1884, Matilda Blanche Kingshott b. 1885 and her twin? Sarah Elizabeth Margaret Kingshott b. 1885, Edith Mary Kingshott b. 1887, Victoria Hannah Louise Kingshott b. 1889, Amy Reuben May Kingshott b. 1890, Alfred Richard Maurice Kingshott b. 1892, Francis Henry Kingshott born and dies in 1893, Emiline Charlotte Kingshott b. 1895, Kathleen Phyllis Ada Kingshott b. 1898. 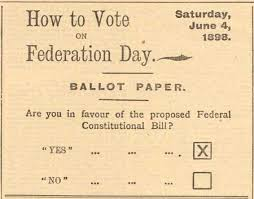 They lived through a time when a very young Australia was first making steps towards being her own nation. They saw the end of European pioneer times and the beginnings of federation. The first world war came and ended during their lives. They had a grandson who went to Anzac Cove as a Driver and came back feted by his community. Another relation made the papers back in Tasmania with scandal and heartache when his wife took off with another man whose own wife had just died. He was left to raise a household of seven children. The wife and her lover pilloried in the news. One of their grandchildren aged just 2 died tragically as a result of burns from falling into a copper of boiling water. Other children and grandchildren made it through school with awards and recognition. Others still never made it out of childhood. One young relation has his leg badly mangled in a lorry wheel when it becomes caught. Other Kingshott boys played cricket for their local teams and made the papers doing so. John’s brother William, was brought to court on the health act for leaving a pub door open at the Wheatsheaf Hotel! From what I’ve found I think this Kingshott might have been the Publican. Exciting for those of us who would like to find a Pub in the family! My great grandmother, their daughter Edith Mary left Tasmania for New Zealand, and married a Whitehead and eventually moved to Australia with her husband and two children. Why she went to New Zealand, I do not know (and would welcome the answer). John was beleaguered by mental health illness throughout his life. His first attack (as it was termed) was first described when he was 33. From the report on the 20th May 1911 John is admitted under the Insane Persons Hospital Act to the New Norfolk Hospital for the Insane. He is reported to have been having an attack of insanity since early February of 1911. At the time John is a man of 53 years. He has been admitted to the asylum following a report from his wife and family where he has threatened on several occasions and then attempted to take his life . He is brought to the asylum from his home by the trooper at his wife’s request. This was not an unusual practice given his risk of self-harm. At no time in the records is there any mention of John resisting treatment or admission to the hospital. On the 20th June 1911, John is admitted to the back division of the New Norfolk Hospital for the Insane. His weight on admission is 9 stone 12 lbs. John is subsequently discharged from the hospital on the 9th August 1911. In 1914 at the age of 57 John is included on the electoral rolls with his occupation given as labourer. On the 24th September 1916 John is again admitted to the New Norfolk Hospital for the Insane. At this time John is 59 and his occupation is given as general labourer. John has been an in-patient at the General Hospital of New Norfolk prior to this admission. John is re-admitted to the back division. His weight on this admission is 9 stone. John’s height was five feet four inches. On the 26th September a medical certificate is signed stating that Jon is a lunatic with a mental disease. John is reported also to be afflicted with melancholia with a description given that he follows (others) around like a child. One of the questions that I cannot help ruminating on is whether it were possible that John had what we now call dementia? In 1919 at the age of 62 John is still listed as living in New Norfolk and his occupation as a labourer. The same existed in 1922 on the electoral rolls. It is unlikely that John engaged in voting at this time. John remained in the asylum from 1916 until he died on the 6th October 1923. John’s records from the asylum record that he died as a result of chronic bronchitis and heart failure. What the newspapers and records don’t tell you is about how close and loving this family were. I have recently found hand written letters gratefully received from one of my aunts with recollections of how the Kingshott family stuck together even when they were separated by distance. How one sister would come and stay with another sister in times of hardship and in times of leisure. The letters that would go back and forwards across the Tasman sea offering support and news. The asylum and health records show that John and Hannah’s children were involved in supporting their parents. John had been a farmer of an apple orchard prior to becoming unwell. 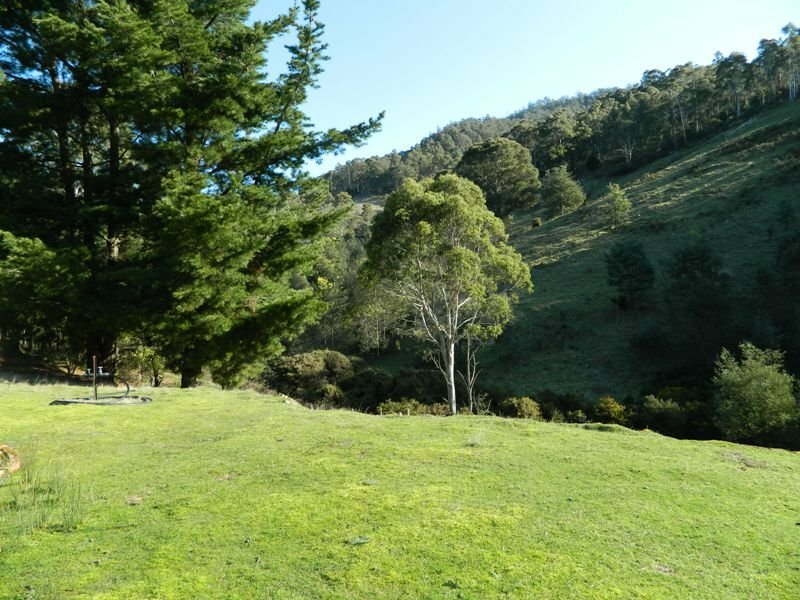 Hannah and John’s children were raised on an apple orchard in the Lachlan River. The brothers who must have shared a drink at the bar of the local and toasted their wins and commiserated their losses. Their father’s serious health issues must have caused them a great deal of worry. The New Norfolk community was made up of hardy stock and most of the families had come from fairly austere beginnings. At this time in history families were not too keen to publicly announce that they had convict ancestry or had come to the new country on the bones of desperation. Or indeed, that one of them was suffering from a serious mental health illness which carried a great deal of stigma and was largely misunderstood. It was the turn of the new century and one did not want to necessarily shake the closet too hard. I have acquired the patient records for John from the archives in Tasmania, these relate to his admissions and time at the New Norfolk Hospital for the Insane. Having spent many years working in health and mental health supports; my heart goes out to Hannah and the family for whom this hardship must have been extremely upsetting and for my great-great grandfather whose greatest prison was a frightening and confusing disease of the mind. New Norfolk Hospital for the Insane. On the 6th October 1923 John died at the New Norfolk Hospital for the Insane aged 66. A message is placed in the funeral notices of the Hobart Mercury by his family. “John William, dearly beloved husband of Annie Kingshott, aged 66 years. Hannah is listed as living at Humphrey Street in New Norfolk. KINGSHOTT- On December 19, 1923, at her late residence, Humphrey-street, New Norfolk, Hannah, relict of the late John William Kingshott, aged 68 years. The Mercury Hobart Newspaper. When I checked maps and records I found that Humphrey Street is one of the boundary streets that encapsulates the asylum. The other streets being Grey Street, Willow Court, George Street, The Avenue and the Derwent River. Both John and Hanah are buried in the New Norfolk Cemetary. St Matthews Church of England in New Norfolk is their family church and that of many of their extended family. Thank you for your story re John William Kingshott He was my husband’s gt gt grandftather. , My hubands grandmotther was Matilda Blanche Embrey nee Kingshott ( one of the twins ) who lived in Sydney NSW until her death 1947 when my husband Reginald John JACK Baxter was 10years old and he remembers going to visit her in Redfern quite often. Hello Norma, what a wonderful contact. Thank you so much. I haven’t heard to date very much from my great-grandma Edie’s sisters/brothers so this was a fabulous connection. I don’t suppose your husband has any idea why Edith went to New Zealand? None of us have been able to work out how she was living in Tasmania and then wound up in NZ. We know she married over there before coming back to mainland Australia but it is all a bit of a mystery. Sadly Edie had a pretty rough life all up. Thank you for your warm comments. Kind regards Darienne.